A second round draft choice in 2015, second baseman Scott Kingery is a talented player that is primed to make an impact very soon with the Phillies. Kingery, who was a walk-on as a freshman at Arizona, was named Pac-12 Player of the Year in 2015, in his junior season. That year, he posted a .392/.423/.561 slash line while driving in 36 runs and stealing 11 bases in 54 games as a member of the Wildcats. In three college seasons, the right-handed batting Kingery sported a .351 batting average while driving in 80 runs and stealing 38 bases in 149 games. Making his pro debut following the draft, the five-foot-10 180-pounder joined the Class A Lakewood BlueClaws. In 66 games he tallied a .250/.314/.337 slash line while swiping 11 bags in 12 opportunities. In 2016 Kingery opened the season with the Class A Advanced Clearwater Threshers. In 94 games in the Florida State League, the 22-year-old posted a .293 average with 29 doubles, three triples, three homers, 28 RBI, 60 runs scored and 26 stolen bases. He would be honored as a Florida State League All-Star. Following a promotion to Double-A Reading, Kingery batted .250 with two homers and 18 RBI. He played in the Arizona Fall League that off-season as well, representing the Phillies in that league's All-Star Game. 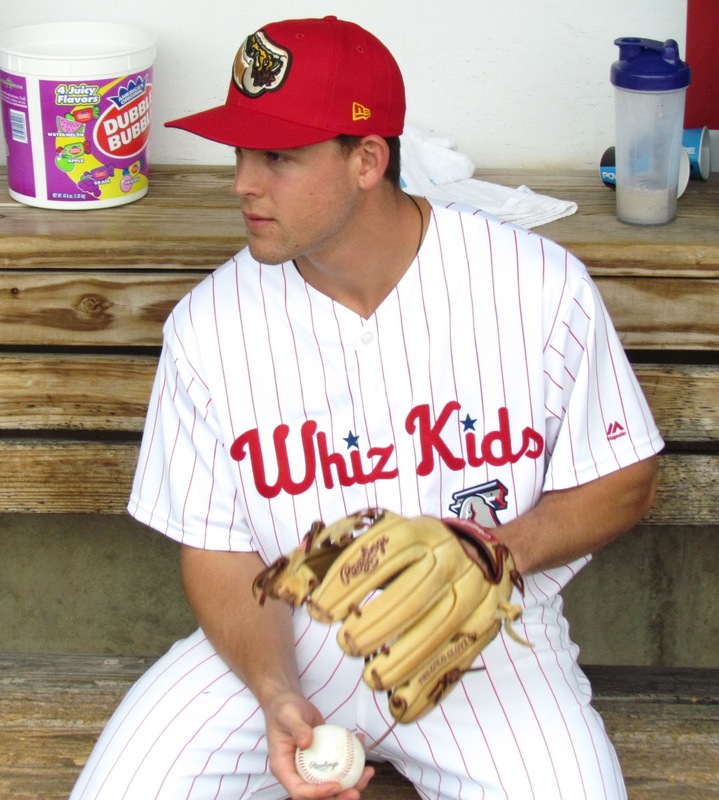 Kingery began the 2017 campaign with Reading. In 69 games there, he would sport a .313 batting average with 18 home runs, 44 RBI and 19 stolen bases. Following a promotion in June, the 23-year-old moved up to Triple-A Lehigh Valley. With the IronPigs, Kingery batted .294 with eight home runs, 21 RBI and 10 steals. He also represented the Phillies in the annual MLB All-Star Futures Game last year and was honored as the offensive Paul Owens Award winner, an award given to the top performers in the Phils minor league system each year. Additionally, he was one of nine recipients of a minor league Gold Glove Award last year. That should speak volumes about the gleaming defense he displays on the field. He has also seen action at third base and shortstop during this year’s spring training season after playing some third with Lehigh Valley. The five-foot-10 180-pounder swings a bat that flashes consistent contact and quite a bit of pop. Coaches praise Kingery’s work ethic and they like that he is a student of the game. Kingery is definitely a stolen base threat. With above average speed, Kingery could really enhance his offensive efforts by contributing on the bases. He has been excellent in spring training this year, make considerable contributions with the big club. Through 21 games, Kingery has a .418 average with five home runs and eight RBI. The output has impressed the Phillies so much that they signed Kingery to a six-year contract, with options for three additional seasons, before he has even played a regular season big league game. The re-build in Philadelphia is approaching completion and Kingery is now locked in as a major part of that.